Two years ago I moved to a new city and decided to get more involved with art locally. About a year ago I quit my regular day job at an attorney’s office, took a few months break, and decided to dive in the local art scene once the summer arrived. It turns out I had no idea what to do or where to begin, especially not having any previous event experience. Let’s discuss few areas in which you can get involved. Fees for those are usually low unless it’s a bigger show. Usually, it’s under $50 for a vendor booth. Larger festivals are often juried to participate and charge higher booth fee (few hundred $). Be mindful - smaller shows, craft shows, or pop-up events gather crowd that is not shopping for fine art or expensive pieces, so be prepared to have a few small works that still are representing of what you do but on a smaller scale. I advise to have examples of larger pieces, so that attendees can see first hand what you are capable of. Same goes for events that are food and music driven, most likely they won’t bring many serious collectors, but you still may benefit by showing up and letting people know what you do, just make sure you weigh pros and cons. Note: some events accept applications months in advance, so don’t be discouraged if you missed the deadline, most likely new application deadline for the next season will be approaching shortly. I even write on my monthly calendar to check on any events happening in near of far future. Nearly every town has an organization that devotes its time to working with local artists. That can be a non-profit or a gallery that often posts calls for art. You can sign up to become a member for a low yearly fee ($20-$50) so you can take advantage of the resources they have to offer, they will notify you about upcoming development or show opportunities. As usual, attending those and showing support for your local fellow artists is great for networking! 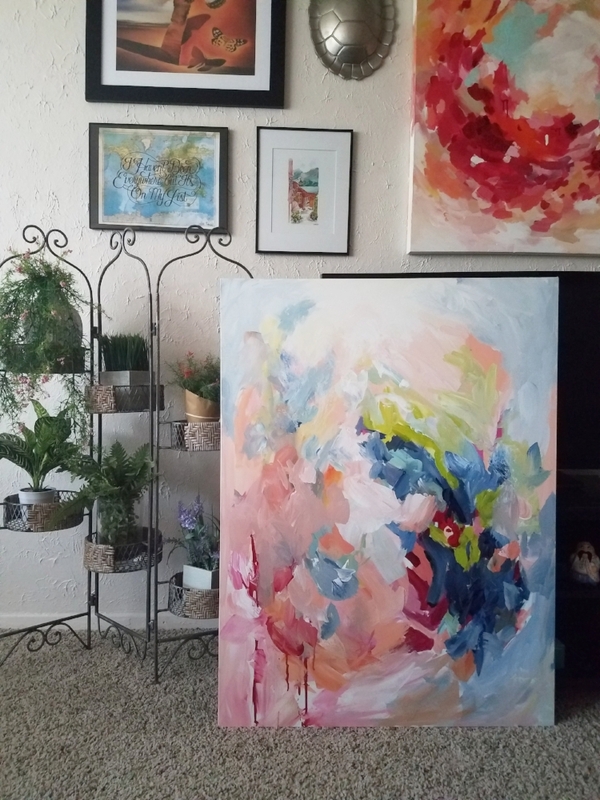 While showcasing your art at a coffee shop or a restaurant might not be your main end goal, this can be a great practice, especially if you have never exhibited your art before. 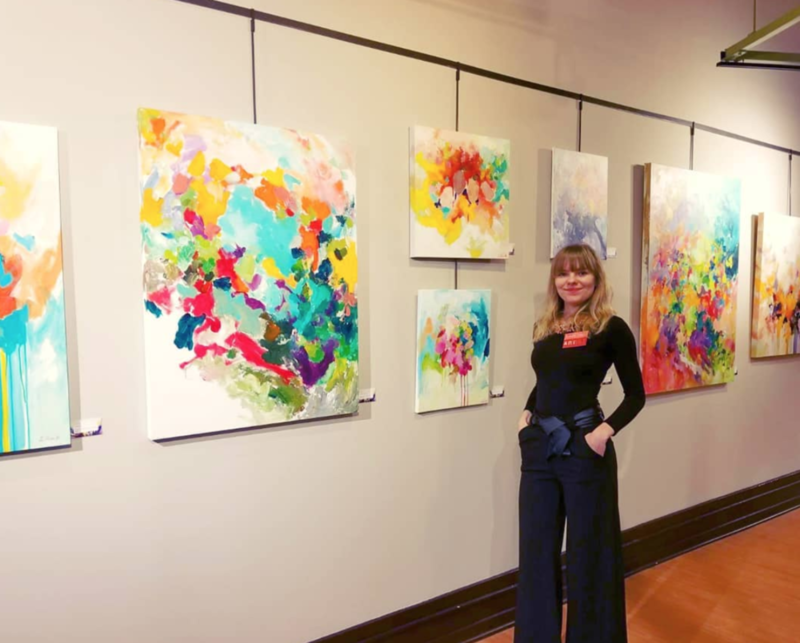 You get to work with a venue, set up/ take down your exhibit, and most of the time the venues are not opposed to you having an opening night, where you can invite friends and patrons to view your art and ask you any questions. I know, I hate it too, but Facebook offers a calendar of your local events, and this is exactly how you can discover any new happenings around you. When you meet or see artists whose work you enjoy - give them a follow, show support, and stay in touch; they can be your window into your local art scene. A lot of people get to know others by volunteering at an organization of personal interest, which is also a great way to get to know other like-minded people. NETWORKING! Introvert? Welcome to the club, but when you keep seeing same people at the places you visit - you become more acquainted and your circle expands. Attending or participating in any of the events listed above is a great way to promote yourself, and even if no one buys anything immediately, there is a good chance they will reach out eventually. Also, being locally involved is a great way to meet other artists and expand your clientele by showing local residents that you exist and presenting what you have to offer. All of those can be great practice for engaging with collectors and working with venues. I was able to make great friends and fill up a whole page of my artist resume in the past year. If you have any questions on applying to galleries and prepping your CV letter or artist statement, refer to this article (and many others) put together by Kat and Alicia from Create! magazine. Opening reception of my solo exhibition, Arts Council of Greater Lansing, Lansing, MI, USA. If you have not seen me get overly excited about Arts Night Out event - here it is! Guys, I don't have the words to describe tonight's event! I have never had so many new friends come to see me because they know me from social media! If you are reading this - I am thinking of you and thank you. This event was out of this world! In the few short hours I have gotten familiar with so many great folks. I am so thankful for each and every one of you that stopped by to say hello and acquired new art or placed orders. There is no better feeling than meeting people that truly appreciate my art. It's a dream come true! Thank you, thank you, thank you! I am all hearts tonight!💕💕💕 And to think I was nervous! Extremely thankful to Old Town General Store owners for such a great welcoming atmosphere and your beautiful cozy space. Could not have been a better place to debut on my first Arts Night Out! If you are in the area, check out OTGS for your Michigan made goodies and craft foods! As much time as I have spent on social media, one thing I don't come across often is people discussing those moments of confusion within your artistic journey. Am I the only one having those? For the past few days, I have also been wondering whether I should write this. Recently I have decided to launch a subscription-based service because it seemed like a great idea to offer people what they have been asking for and actually get paid for it. The idea sounded fine in theory, but God knows how much I am repulsed by the thought of making a lesson plan. Part of the problem is me trying to organize all of the knowledge I accumulated in the past 20+ years, and it is simply impossible. Also, I do not want to settle for a sub-par course offering that will provide you with 3 bullet points of practical knowledge. And then I begin to wonder if I even need to offer this service, since it will bring so much hassle to organize. Is this maybe just a problem of a business owner? You have ideas, you think you thought them through, but you ended up being wrong? And what do you do then? Keep going back and forth? Am I just steering away from my strategy? When I started making art professionally, I thought I needed to organize my art into streams not to confuse people as to what I actually do. I had my illustration work separated from abstract art, then I got rid of illustration altogether because it was not getting as much traction on social media... But wait, I love illustrating! It is what I want to do! Do I just keep doing it and hope that someone likes it? Wait! I don't make art for others, I do it for myself, then why suddenly I care if anyone will like it? I had placed myself into my own box of what I define as my style. Your style has to be consistent, recognizable. But what if that's not what I want to do creatively? The whole point of making art is to free myself, and I am unable to do so by placing boundaries around my creative process. I have been wanting to try out new ideas lately, but I am afraid it will not make any sense to my followers. I also do not want to be making the same kind of art forever. I want to experiment, learn, explore. What do I even do? At this point, I have changed my mind on few projects. I feel like I can be perceived as the kind of artist that doesn't know what she wants. But what if what I want changes all the time? My experiences, personality, and inspirations vary from day to day, how can I possibly make the same kind of art for ages if I don't even have the same thoughts as I did an hour ago? That defeats the purpose of being an artist. I apologize for making promises and not living up to them sometimes, but I am not even always sure what I want to be as an artist. I welcome opportunities with open arms, and sometimes they will not be the best ones, which won't be obvious at first. 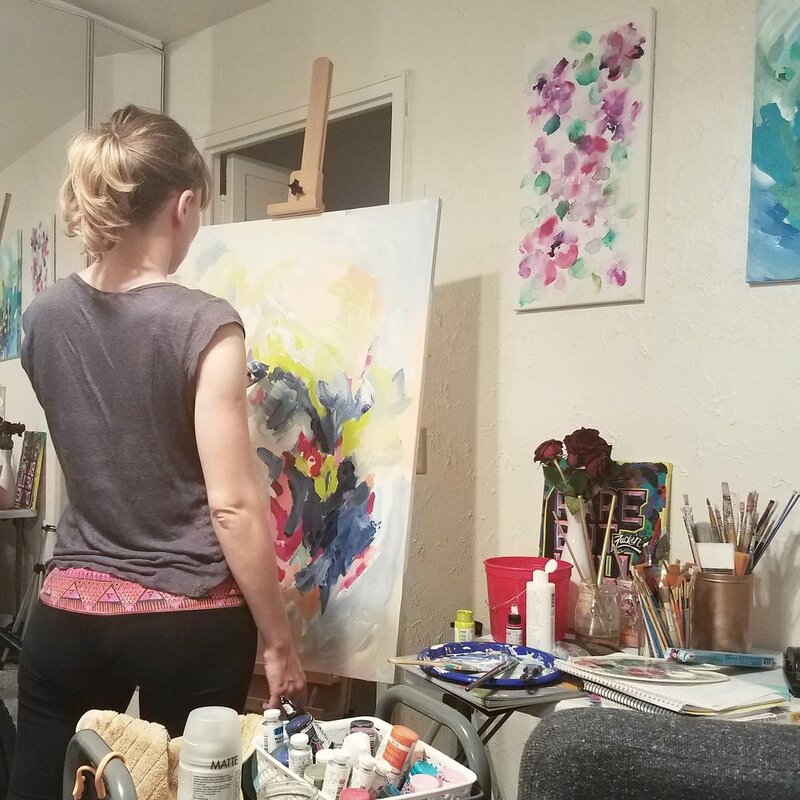 Like being offered to teach a class for many beginner artists and reading the contract and realizing you will be paid in "exposure" and minimal fees that do not even cover the hours needed to prepare for the lessons. And having to back out. And then tell everyone: "Sorry, no more classes!" but leaving the "because I won't be paid enough" part out because you are told not to be too negative on social media. I don't want to pretend that being an artist means walking through a spring meadow in search of inspiration, while the sun is beaming on my skin as my hair softly caresses my cheeks. We are constantly being told not to share our frustrations or express negativity because that’s not what people want to see. I don't want to play into the politics of people who don't discuss struggle, because I do struggle sometimes and would like some help. Got any suggestions? And sorry for my confusing English, if it was. English is my third language. My fiancé, electronic music producer, Muthafox and sewist friend SarahJeanSews are joining us. Wow! What a breath of a fresh air! No, it was not due to recent data issues... well, partially it was. I have been thinking about the role of facebook in my life for the past few months. At first, it was a neat way to keep in touch with friends. It did take away from a really life conversation, because when you saw each other it turned into "I did this and this last week", "Oh, yea, I saw on facebook". Hmm. Then it became a sharing central for funny videos and pictures and I kept wondering, why do I use this social media platform? I did not have an answer. Maybe I had a fear of not being instantly connected to a person I know. I am not sure. I also had a complication of my business page being attached to my personal one. I think I could sacrifice being on one less social media platform. I deleted my account! At times it felt like I had a need to scroll on something? What kind of thought is that even? That was a wild realization. I have an empty urge to get on social media throughout the day, that's how much of a habit social media became to me. I have been spending much more energy on creating and practicing art, even if it means doing something other than painting. If you follow me on social media, you might hear me speak often how art brings me freedom. I am not sure why that is. When I paint, I know I am free to feel anything. I am free to be sad... I am free to be happy... It is quite a liberating experience for me. No rules exist. I have the most amazing experience when I paint against my fears. I have had a painting sitting in the corner for a few months now; it was a larger 30x40 in canvas. I love painting big, but this one was scaring me a little. I laid down few basic colors, but had no idea how to proceed. I kept looking at it, it kept looking back at me. I just did not know what to do with it. But few days I had a rough day at work and in business. Yoga was not helping with the release of anxiety, in fact - nothing was helping. And when I get like this - I know that it's time to paint. I went into the office, and put that scary canvas on my new easel. What an honor for it to be the first one I painted on the new easel? Ha ha. I poured the paint on my palette, got my rubber gloves out, put some calming music on, and "went to town"... with no fear, no limitations, and peace at heart. "But Are You Brave Like Me?" was born that night. I am not ready to part with this one yet, but stay tuned and subscribe to my newsletter to be the first one to know when it goes up in my shop. On this beautiful Saturday I wanted to let you all know that for the first time ever, I will be participating in an art event. I always wanted to participate in some artistic event, and I was chosen to be one of the competing artists for the Reo Town Art Attack. All of the artists will be painting parts of a bike lane. If you are anywhere near Lansing, MI on Saturday, August 26th - stop by and say hello :) Would love to meet you in person! I want to welcome you to new and wonderful place that is my website/portfolio/shop all in one. It has been difficult trying to redirect everyone from one place to another depending on what kind of information they were looking for. I will be more than happy to hear any suggestions or input that you might have, or if you noticed misspellings (since English is not my first language). My kitties are enjoying morning sunshine and pretending that the chair belongs to them.